This Bell Hill water view home is beautiful from the outside, but the floor plan inside and the kitchen and master bedroom are precisely what so many retirees want now, and this home sits in a very peaceful location. The very first thing you undoubtedly want to do is see more larger photos, and you can right here at Sequim Water View Home. Be sure to click on one of the three thumbnail photos, and you will get more photos. Many retirees want a modern home built with high quality materials, preferably hardwood floors, a large modern kitchen, stainless steel appliances with a gas (propane) cooktop, and an open floor plan between the kitchen, dining and living rooms. They also like the laundry room near the kitchen or between the kitchen and the master bedroom. They love a large master bedroom, a walk-in closet with a skylight or window, a modern master bathroom with double sinks and both a shower and comfortable soaking tub. Of course, it would be ideal if most of these rooms had a water view. An attached garage with an easy entry into the kitchen for carrying groceries is important. They also like a den on the main floor. In fact, they want all of this on the main floor, all one level. Having a second floor is okay for many buyers, because the guest rooms can be on that floor for kids and grandkids, but they do want to be able to live all one one floor. They also would like water available outside for all the landscaping without having to worry about water restrictions. A year round irrigation ditch or a creek would be the perfect solution. A modern electric forced air heating and cooling system with a heat pump is ideal for the Sequim climate and the most efficient way to heat a home in such a mild climate. Most buyers would love some privacy if they could find the perfect location. And if there is one last and major feature almost every retiree would love is a water view of our beautiful Strait of Juan de Fuca with the islands and Mount Baker on the horizon. When I write that this description is what most buyers want, I am being totally sincere. This Bell Hill water view home just happens to have them all. If you would like to view this home, call Chuck at 360-775-5424. 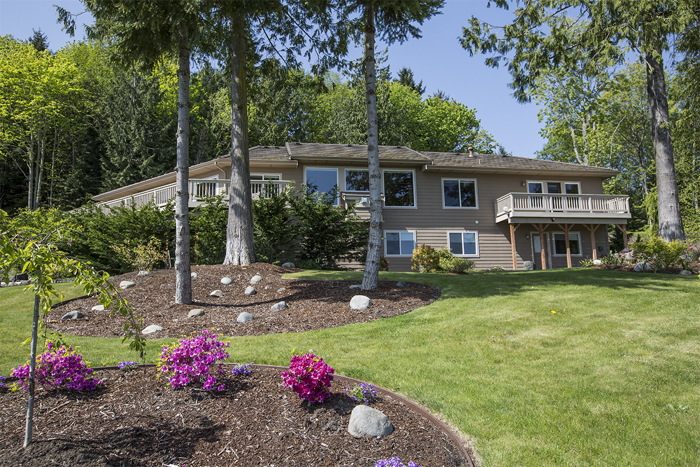 Meanwhile, check it out at Sequim Water View Home. There’s a new public MLS site called LuxuryWaterViewHomes.com. Luxury Water View Homes specializes in gorgeous million dollar water view homes from Seattle to Port Angeles, around the Sound and the Strait of Juan de Fuca, and on all the islands in between in the State of Washington. This site is not just your average listing agent’s site. Not at all. This site was designed and programmed to reach out specifically to buyers, and to show them all the listings that are available–no matter who has it listed. All luxury water view homes listed for sale from Seattle to Port Angeles and every island in between is on this site. 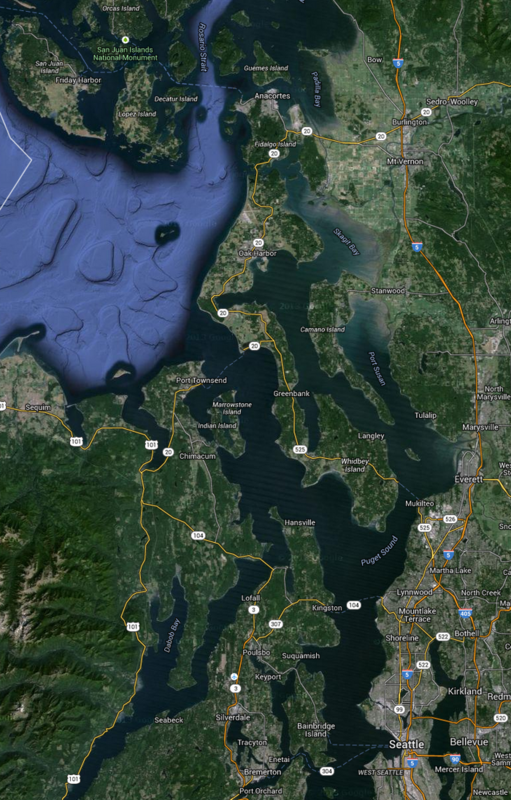 This new MLS site includes beach homes, water view homes, water front homes (high bluff, medium bluff, low bluff), mountain top homes with water views, island homes, and luxury water view homes listed for sale on any water in the larger Seattle to Port Townsend, to Port Angeles, and every island in between. Here is the coverage area. Not only does this site include all the listings in this area no matter who the listing broker is, this site was designed specifically with buyers in mind, and that means the site has intuitive navigation, pleasing designs, powerful but simple tools for searching for luxury homes, easy tools for saving favorites, and a great system to get email alerts for your ideal home. But there is something that is perhaps even more beneficial for buyers. For buyers in the market for a multi-million dollar luxury home, it makes sense to be represented by a buyer’s agent who is one of the nation’s recognized experts. Chuck Marunde is a three decades real estate veteran, which includes 20 years as a real estate attorney. When other real estate brokers need help anywhere in the U.S., they often call Chuck Marunde. Chuck is the author of several real estate books written for buyers. He is known as an expert negotiator. He recently received a prestigious award, the Five Star Real Estate Professional Award, which is given to less than 7% of over 25,000 Seattle area real estate agents. A luxury water view homes MLS site with a buyer’s agent–just what the discerning buyer wants and needs. Check it out at Luxury Water View Homes.